Researchers have used light to excite a light-sensitive channel in the membrane of optogenetic mouse neurons. When the channels were excited, they allowed ions through, which caused the neurons to fire. The researchers say the same technique could be used on cells that are naturally responsive to light, such as retina cells. 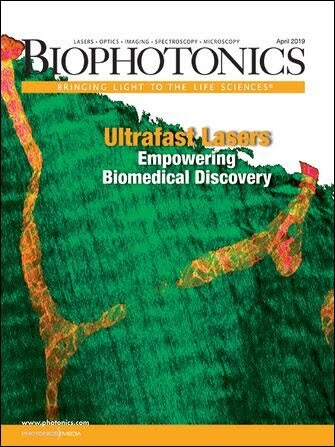 Previous research has demonstrated the use of coherently controlled light beams to regulate chemical reactions, but according to the University of Illinois team, their study is the first to use coherently controlled light pulses to demonstrate how living cell functions can be modulated via opsins, by modifying fundamental optical properties of light interacting with the retinal chromophore. Illinois researchers used ultrafast pulses of tailored light to make neurons fire in different patterns, the first example of coherent control in a living cell. Courtesy of Stephen Boppart, University of Illinois. The research team used a flurry of ultrashort NIR light pulses — less than 100 femtoseconds (fs) — to modulate light-evoked ionic current from Channelrhodopsin-2 (ChR2) in brain tissue, and consequently the firing pattern of neurons, by manipulating the phase of the spectral components of the light. The ultrashort pulses delivered a lot of energy in a short period of time, exciting the molecules to different energy states. Along with controlling the length of the light pulses, the team also controlled the order of wavelengths in each light pulse. The research was demonstrated by using patterns of tailored light pulses to make the neurons fire in different patterns. According to the team, the results of their research show that quantum coherence of the retinal-based protein system, even in a living neuron, can influence its current output, opening up the possibility of using designer-tailored pulses for controlling molecular dynamics of opsins in living tissue to selectively enhance or suppress neuronal function. 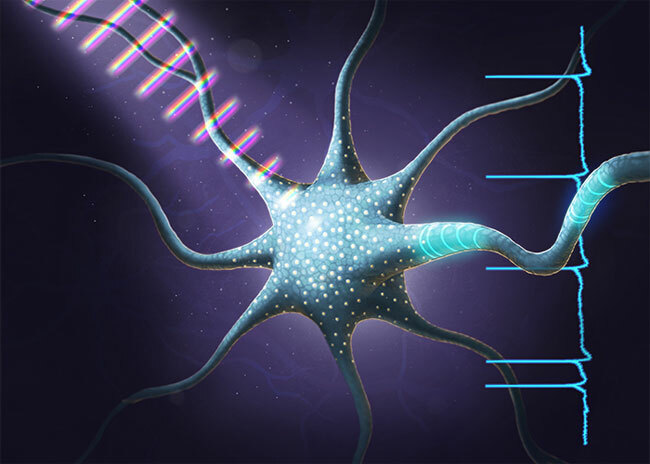 Boppart believes that coherent control could give future optogenetics studies more flexibility, because changing the properties of the light being used could give researchers more options than having to engineer mice with new genes every time the researcher wants to explore a different neuron behavior. Outside of optogenetics, the Illinois team is working to test their coherent control technique with naturally light-responsive cells and processes — for example, with retinal cells and photosynthesis. The research was published in Nature Physics (doi:10.1038/nphys4257).